Morse code is a method of sending messages over long distances using alphabet or code in which letters are represented by combinations of long and short light or sound signals. Morse code can be directly understood by a skilled listener or observer without special equipment. However you can learn the basic of Morse code here. Just print out the print-friendly visual image below and you can start communicating in Morse code. 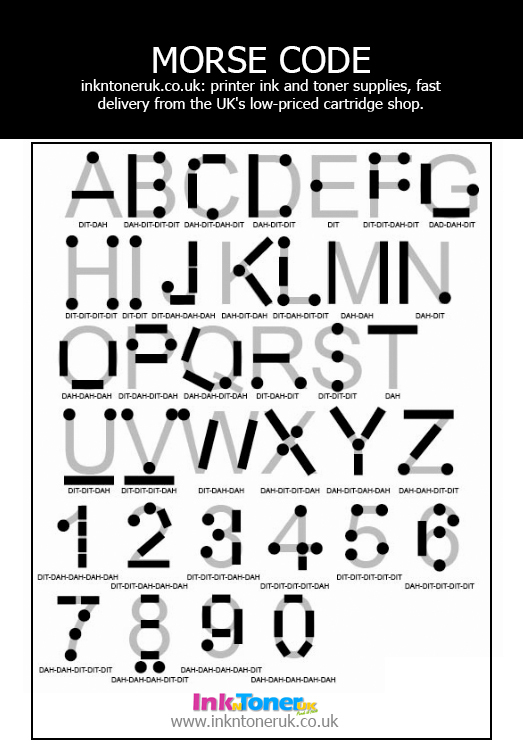 You can print out the Morse code image in an A5 photo paper and laminate it and keep it with you at all times to send messages in Morse code.